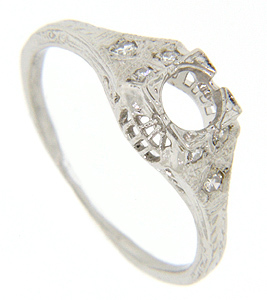 Diamond trios are set on the shoulders of this platinum antique style engagement ring mounting. Filigree designs ornament the sides while engraving provides additional ornamentation. 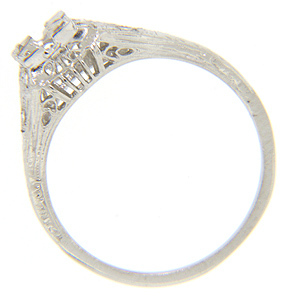 The ring measures 6.8mm in width. Size: 6. We can resize.